Yesterday began pretty much like most days. Kate’s sleeping pattern has been somewhat erratic. I started to wake her up just before 11:00 so that we might have lunch before the sitter arrived at 1:00. It took her longer to get out of bed than usual, but I didn’t think much about that. I decided to go to Panera for lunch since we were a little late getting away. I called the sitter to meet us there. As soon as we sat down, Kate said, “Does this place have a name?” That, too, is not unusual. Then she asked, “What’s the name of this town?” I told her Knoxville and that we had lived here 47 years. She was as surprised as she usually is. She asked the same question several more times. When Mary arrived, Kate seemed perfectly normal. When I left, she didn’t show any reservations about my leaving. When I returned home, Kate was in the back of the house. Mary said Kate rested a little while I was away. Although she had plenty of sleep the previous night, I wasn’t too surprised about that. The previous night we had watched half of the movie South Pacific. We had enjoyed it. All the music was so very familiar. We watched the second half last night. Kate started out working puzzles on her iPad but became engaged in the movie. She put the iPad down. When it was over, I started to get ready for my shower. A moment later, she had a look of concern on her face. She called my name, and I went over to her. She said, “I don’t know what’s going on. I don’t know who I am or where we are?” I’m unable to find the words to adequately express her emotion. It was a look of puzzlement or fear. This was different from simply asking her name which has happened a few times recently. I put the book down. I looked at her and said, “Can you tell me how you are feeling?” She said something like, “I don’t know. I just don’t know where I am and what’s going on.” I said, “Are you afraid?” She said, “No.” I asked if she was confused. She said, “Yes. I just don’t know what’s happening to me?” At that moment, and right now as I write, tears welled up in my eyes. I didn’t go on to say any more about Alzheimer’s. Instead, I said, “I want you to know that I will always be here for you.” She said, “I know that. I’ve never doubted that.” She went on to say how fortunate we are to have had such a good marriage. As she often does, she also said how fortunate we are that our children have turned out so well. I reminded her that we have been married 55 years and said, “During that time we have had so many great experiences.” She asked me to tell her some of those experiences. For the next fifteen minutes or so, I talked about the places we have lived and the special things we have done. We both enjoyed having this moment of reflection. It wasn’t that we don’t reflect. We do that a lot. In that moment, however, it seemed more special than usual. When we finished, seemed seemed more relaxed though probably still confused. I think we both felt comforted by our conversation. Over the course of the past six months or so, Kate has been on a gradual, but noticeable, decline that is a sign of what will be the hardest part of our journey. 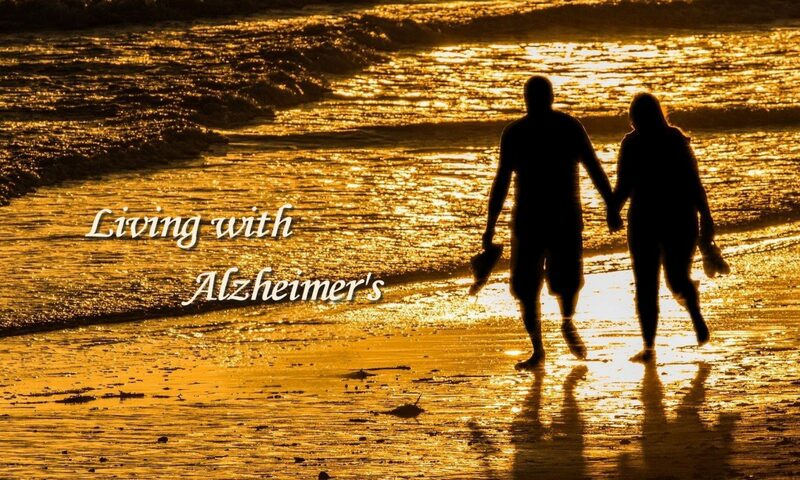 Her experience last night brought the harsh reality of Alzheimer’s to the forefront of our lives. We have lived as if this day might not come. I knew it would, but it’s painful to watch someone you love go through it. Great video, Bill. I’ll try it and see.